I. I. Chouvaloff (1727-1797), the last favorite of Elisabeth I of Russia, the daughter of Peter the Great, was born and educated in Moscow. For their own advancement at court, his relatives encouraged him to put his good looks to advantage by seducing the fat and lusty Empress. In 1749 he was made Gentleman of the Imperial Bedchamber. When the current paramour, Nikita Betekoff, was ousted, Chouvaloff became Elisabeth Petrovna's lover and so remained until her death in 1762. Chouvaloff wielded considerable influence, but without political ambition and by nature lackadaisical, he played more a conciliatory than statesmanlike role. As a child, he had been extremely well-tutored, and while in favor he sponsored the foundation of the University of Moscow (1755) and the Academy of Fine Arts (1757). The "Russian Maecenas," as Chouvaloff was known to his contemporaries, was the patron of the greatest of Russia's eighteenth-century intellectuals, M. V. Lomonosoff. He corresponded with French men of letters, including Voltaire, Diderot, and d'Alembert. Peter III, Elizabeth's successor, looked upon him with suspicion. Chouvaloff readily swore allegiance to Catherine II when the Czar was murdered by her henchmen. Discovering that the new Empress also mistrusted him, he left Russia and spent fourteen years traveling in Europe. He returned to his homeland in 1777 and was warmly greeted by Catherine. Already a Knight of Saint Alexander Nevsky, Chouvaloff was granted by Catherine in 1782 his membership in the orders of Saint Vladimir and Saint Andrew, the insignia of which he wears in the present portrait. He spent the latter part of his life in scholarly pursuits. Chouvaloff never married; in his old age his constant companions were his sister, Princess Prascovia Ivanovna Galitzin, and her daughter, Countess Golovin (see cat. no. 47). He died in Saint Petersburg on November 14, 1797, and was buried in the Church of the Annunciation at the Convent of Alexander Nevsky. According to her catalogue, the artist executed a portrait of Chouvaloff in 1775. This fact alone explains why the present work has consistently been misdated in the literature. In the text of her memoirs, Mme Le Brun wrote: "I painted ... the portrait of the Great Chamberlain, Count [sic] Shouvaloff. I believe he was about sixty years old [in fact in 1775 he was only forty-eight], and he had been the lover of Empress Elisabeth II [sic] of Russia. He combined obliging politeness with great urbanity, and as he was also the most convivial of men, he was sought out by the best society" (Souvenirs, 1, 21). The early portrait, if it ever existed, cannot be confused with the painting shown here. The sitter's apparent age and the artist's virtuoso brushwork preclude this possibility and lead to a tentative dating of Raleigh's portrait to the late 1790s, whence its strong stylistic affinities with the portrait of Stanislas II Agustus (cat. no. 47). A rectangular copy of the portrait, attributed to the peasant artist Mikhail Chibanoff, is in the Russian Museum, Leningrad (inv. no. 69). Another, formerly in the Galitzin collection at Petrovska, is perhaps identical with the version now in the Pushkin Museum, Moscow. PROVENANCE: Collection of the sitter- to his niece, Countess Varvara Nikoiaevna Golovin; to her daughter, Elisabeth, Countess Leon Potocka; to her daughter, Countess Casimir Lanckoronska, Vienna; Count Karol Lanckoronski, Vienna, and his descendants; F. Mont and Newhouse Galleries, New York; acquired in 1952 by the North Carolina Museum of Art. EXHIBFI'IONS: Baltimore, Museum of Art, From El Greco to Pollock (entry by G. Levitine), October 22-December 8, 1968, no. 45, illus; Raleigh, North Carolina Museum of Art, Women: A Historical Survey of Works by Women Artists, February 27-April 20, 1972, no. 12, illus. ; Los Angeles County Museum of Art, Women Artists 1550-1950 (cat. entry by A. Sutherland Harris), December 21, 1976-March 13, 1977, no. 58, illus. (exhibition traveled to Austin, University of Texas Art Museum; Pittsburgh, Carnegie Institute, Museum of Art,- The Brooklyn Museum). SELECTED REFERENCES: Nolhac, 1908, illus. facing p. 156; Baron N. Wrangell, "Several Comments of Mikhail Chibanoff," Stanje Gody, February 1910, pp. 32-33 (text in Russian); Helm, , p. 220 (author confounds portrait of I.I. 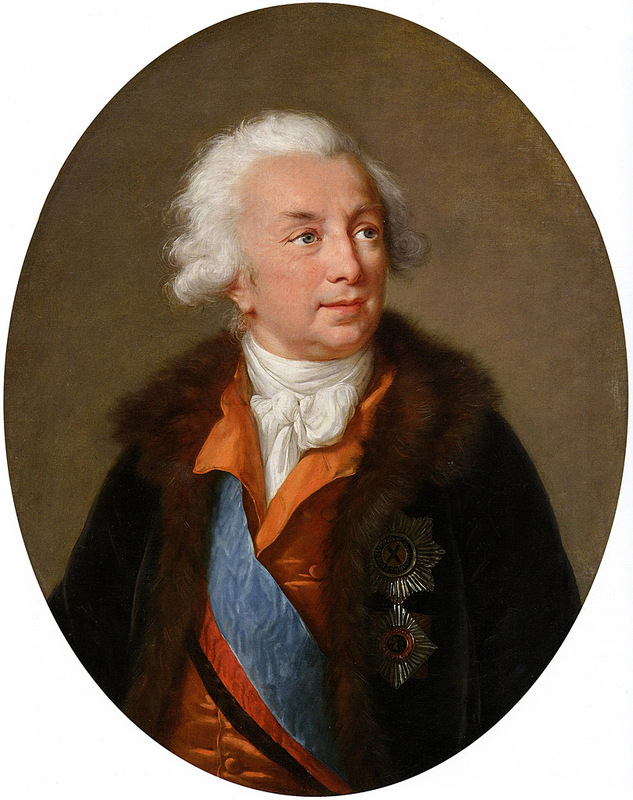 Chouvaloff with that by Vigee Le Brun of Count P.A. Chouvaloff, shown at the Taurida Palace exhibition of Russian portraits, 1905, no. 248, and now in the Russian Museum, Leningrad); Nikolenko, 1967, p.114, no. 46, illus.